Eco-Systems offers some of the most INNOVATIVE DESIGNS as well as FREE DESIGN SERVICE. Our designers will work with you every step of the way to ensure that you receive a display that is TAILORED TO YOUR NEEDS. From Kit To Custom For You! Easily transform any of our standards kits into unique and customized displays. Over 200 Amazing Kit Designs. Most Ready to Ship in 10-15 days. 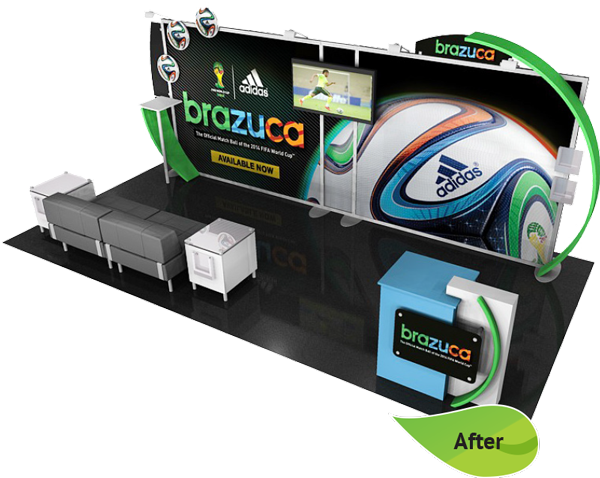 Free Exhibit Design Services. With Fast Turnaround Times. Beautiful Fabric-lined Custom Crates. Built with FSC Wood and Jigged for Every Job. Detailed Set-up Instructions. All the Components are Numbered. Every. One. CNC Manufacturing. Exact Tolerances. Every. Single. Time. Competitive Prices. 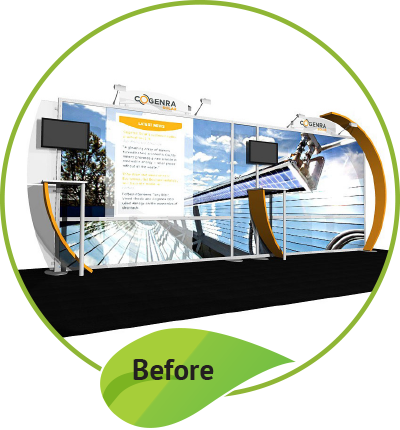 Smart, Sustainable Display Choices Are Not More Expensive. Environmentally responsible materials without sacrificing quality or price.